CRAZY COOL GROOVY!!! : STEVEN ADAMS "LITTLE MONKEYS" REMARK On LARRY WILMORE!!! STEVEN ADAMS "LITTLE MONKEYS" REMARK On LARRY WILMORE!!! Earlier this week, after an OKLAHOMA CITY THUNDER 108 -102 victory over the GOLDEN STATE WARRIORS in Game #1 of the NBA 2016 WESTERN CONFERENCE FINALS, THUNDER Center #12 STEVEN ADAMS referred to guarding certain WARRIORS as "Quick Little Monkeys"!!! 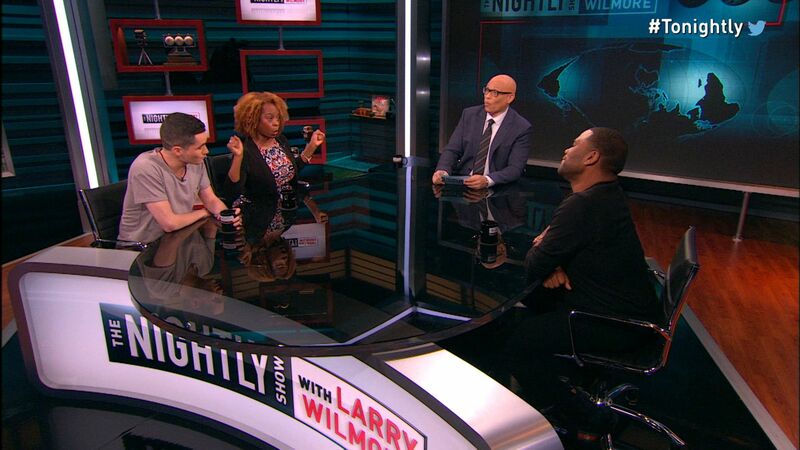 The NIGHTLY SHOW Host LARRY WILMORE moderates a Panel Discussion between HOLLY WALKER, ANTHONY ANDERSON, and RICKY VELEZ to discuss and debate the implications of Steven Adams' remark.